One of the earliest math concepts students learn is addition. This is an important concept for so many reasons! 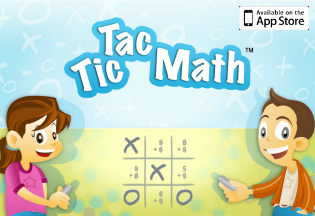 A strong foundation with addition and fact fluency will pave the way for students to understand subtraction, multiplication and more! And while there are many strategies for helping kids understand and learn addition facts, one that I have been spending a lot of time on with my daughter is number bonds. 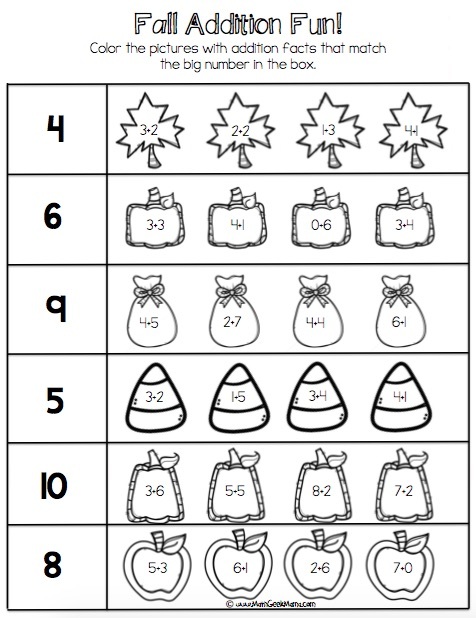 And although we have started to move on to subtraction, I still spend quite a bit of time reviewing number bonds with her, so I’ve created this fun set of Fall Number Bonds Practice pages and thought you might like them as well! *Please Note: Some of the links in this post are affiliate links which help support the work of this site. Read our full disclosure policy here. So what are number bonds? Number bonds are all the possible addition facts for a given number (using only positive whole numbers). You may refer to them as fact families. For example, the number bonds of four would be: 0+4, 1+3, 2+2, 3+1, and 4+0. Why are number bonds important when learning addition? Learning and understanding number bonds can be helpful for many reasons. For one, it helps students understand the addition model of part-part-whole, helping them make sense of what addition accomplishes. Second, it will help students increase their math fact fluency because the more they work with the different number bonds of a particular number, the more they will remember and recognize them later. Rather than drilling students with flash cards or random lists of addition problems, help them memorize facts logically by working systematically through the number bond facts. Third, knowing the number bonds for a given number will ease the transition to working on subtraction. Subtraction is the inverse operation of addition, so when students already understand the different ways to make eight, seeing the problem 8-3 = ___ will not be overwhelming to them because they know that 5+3=8. With my daughter (first grade) we have spent quite a bit of time working with number bonds in different ways. I try to make things hands-on and fun as much as possible, so one of the first ways I introduced number bonds was with apple slices. We also love to play games, and this simple card game is a really fun way to practice making ten. It’s also helpful to use base ten blocks to build a number and then see how many different ways you can break it into two parts. 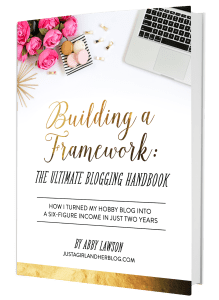 Because I believe this is such an important foundation, it is something we will be reviewing frequently, even though we have moved on to subtraction. 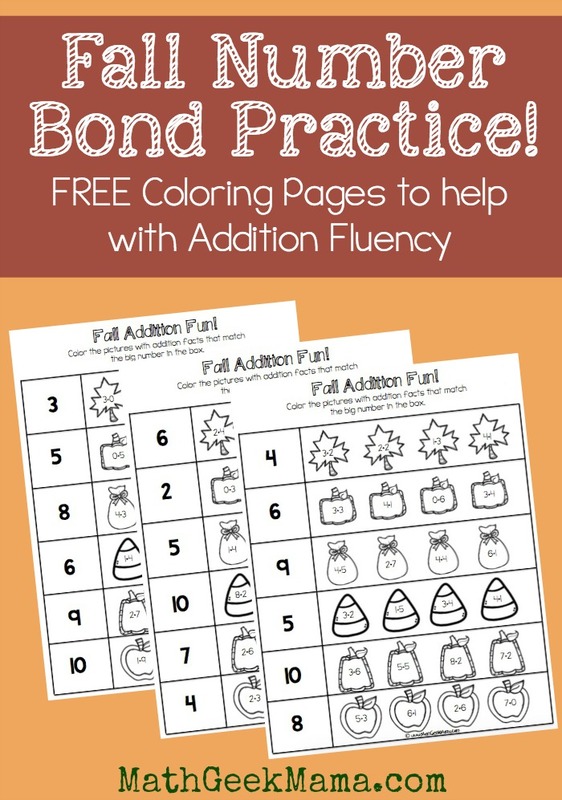 So to help her continue to see the patterns in number bonds and recognize equivalent facts, I created this cute set of Fall Number Bond Practice pages! 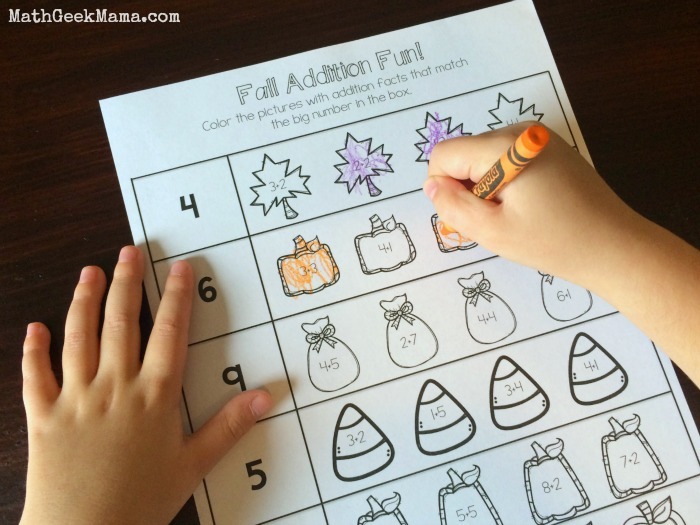 The object of these worksheets is to find the Fall pictures that have the correct addition facts for the given number and color them. If your students still need a concrete, hands-on approach to help them solve these, have them build the number in the box with base ten blocks or unifix cubes, and then see if they can break them into the two parts for each picture. What are some ways that you like to explore number bonds with kids? Do you have any other hands-on ideas or fun visual approaches? Please Share! 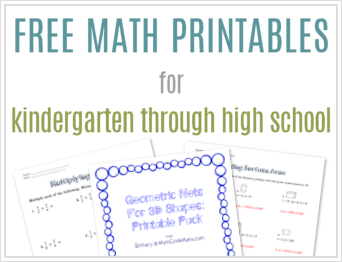 Looking for more number bond practice? 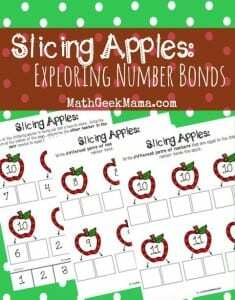 Grab this free set of Apple-themed number bond pages!